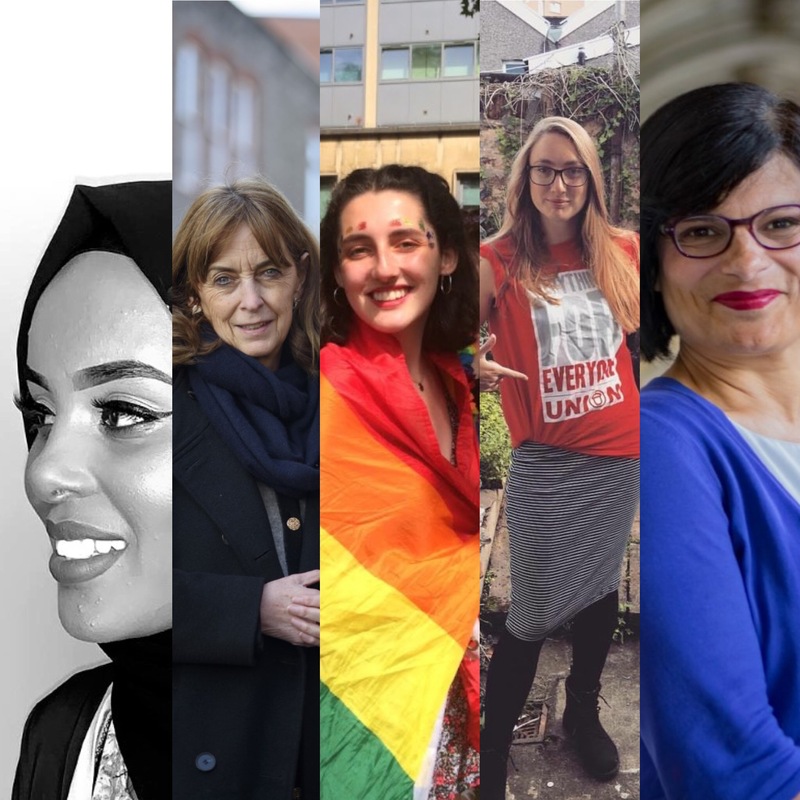 As part of Bristol Women’s Voice (BWV) celebrations for International Women’s Day (IWD) on the 2nd of March at City Hall there was a ‘Women and Power’ panel discussion with a whole range of inspiring women from across the city who shared their experiences of being female leaders in today’s society. The panel was led by BWV’s Chair Penny Gane and included the women sharing their personal experiences of what it’s like to be a woman in a position of power, the highs and lows and their favourite achievements in their work so far. responsibilities of the different job roles on the panel, feminism in the political climate, and how media affects their jobs. They explored things that were most significant about their personal experiences in the wider context of a society in which women are underrepresented in many ways. experiences, exploring some key topics around the title ‘Women and Power’, then went into a Q&A with the audience. This gave the attendees a chance to ask the panellists directly any questions they had regarding the points made; questions we are asked about the stereotyping of black women and how we should make men feel welcome in feminism. Now what you’ve all been waiting for – here’s a bit more information on the panellists that spoke so brilliantly on the day. Thangam Debbonaire is the Member for Parliament for Bristol West and as part of her role as an MP she has to represent her constituents in her area in parliament. Her role is to listen, advocate, and assist the local people in her area as well as leading campaigns and speaking in the House of Commons. She is passionate about women’s rights and before she became an MP her main goal was to work locally, nationally and internationally to end domestic violence. In Parliament she scrutinises primary and secondary legislation in order to hold the government to account. “I also make speeches and put oral and written questions to government ministers in order to hold them to account,” she explained. Anny Cullum is a member for ACORN Bristol, which is a tenants’ union – a community organisation, a support network and an anti-poverty organising group based in location around the UK. As part of her role as member, Anny fights to support those in need of redress the balance of power between landlords and tenants and ensure that everyone has the right to safe, affordable and decent housing. Anny is passionate about making sure that no matter who you are, you can access safe housing in Bristol. She was one of the key panellists at this year’s ‘Women and Power’ session and was part of the key discussions around being a woman in a position in power, especially regarding women’s rights in terms of housing. Hannah Hier was the female Youth Mayor of Bristol from February 2018-2019 and was a member of the Bristol Youth Council from 2017-2019. As Youth Mayor it was Hannah’s job to make sure that young people from around the city were being represented by and listened to by key decision makers in the city, for example the Mayor and Councillors. During her time in the role, Hannah met with the Mayor once a month to bring forward young people’s ideas and campaigns in the city. She also worked with councillors like Helen Godwin on key campaigns in the city like the council’s commitment to end period poverty. She also ran her own campaign around improving PSHE (personal, social, health, education) in schools and worked with many youth groups across the city. Hannah has worked with BWV in the past at their girls’ conference and has recently become one of their volunteer reporters. In January 2018 she helped to organise the Time’s Up Women’s March in Bristol. She’s passionate about feminism, especially making sure that young girls are not limited in their choices because of who they are.Hannah loved the range of workshops available during the IWD. “IWD is an amazing opportunity every year to celebrate the incredible achievements many women have made, to reflect on how far we have come in the fight for gender equality, but also how far we still have yet to come. Days like IWD are so important in bringing people together to discuss women’s issues and the actions we can take as ambassadors for change,” she said. 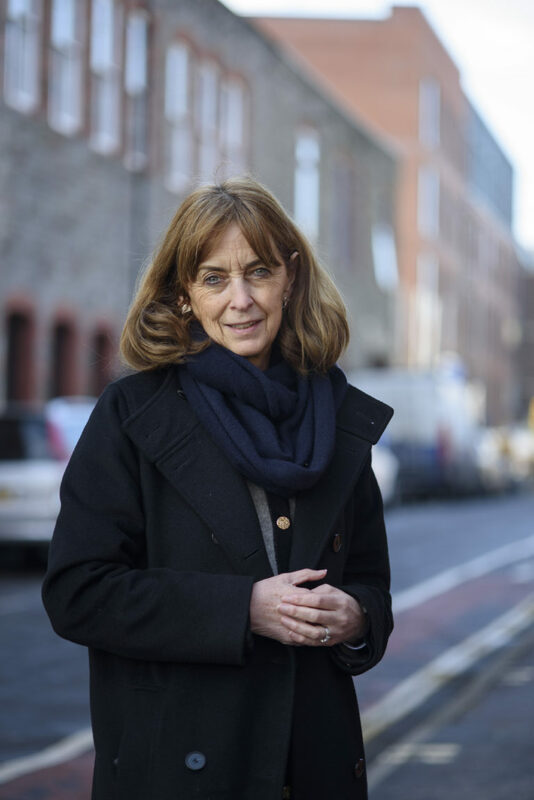 Sue Mountstevens is the Police and Crime Commissioner for Avon and Somerset and as part of her role she has to connect the community’s views with police and wider partners as well as ensuring local people get a more direct say in policing. Some of her responsibilities as PCC is to act as a bridge between the police and the community to ensure local people’s views are heard. She feels passionately about putting victims at the heart of the criminal justice system and championing the voice of victims. Some of Sue’s main priorities is to drive improvements across the criminal justice system is to reduce reoffending, break the cycle of crime and work with existing partners to make real chance. She believes it’s essential to make sure that the police has the right people, right equipment and right culture to ensure the Constabulary is representative of our communities. As part of the panel Sue was delighted to support such an empowering event, as well as creating innovative discussions and hearing about the personal experiences of the other women on the panel. Sue believes that IWD is a day to bring women and men together to drive forward change, but also to celebrate the amazing achievements of ordinary women. “Many ordinary women do extraordinary things every day and IWD lets us take a moment to recognise the social, cultural and economic achievements women have accomplished so far; it’s a chance to say thank you to all the women who make a real difference,” she commented. Hibo is the founder and co-ordinator of Talo, a grass root organisation led by women aiming to deliver services which empower the community as well as advocate for them. She has also worked in the voluntary sector for over 15 years supporting families with various life issues. In her day to day role she’s in charge of management and deciding on the long-term aims of the organisation. Some of the work she does in Talo includes organising half-term trips for families, working in partnership with other service providers on workshop and delivering school empowerment programmes to young people from diverse ethnic backgrounds. A large part of her job involves advocating for individuals or collaborative on issues that are important to them. “IWD is a day where the younger generation discover key women in current affairs and inspire to fight against a misogyny mindset,” she explained. The panel was an excellent opportunity to hear about all the inspiring and eye-opening experiences these incredible women had to share. It was a great chance to listen to stories about a range of jobs and responsibilities and gain an insight into the day to day lives of these influential women in our city. Overall it was an inspiring event! Get your voice heard in the new Temple Quarter Enterprise Zone!